Since we have painted and upgraded the house a little, I have been very careful with making the right choices for hanging things on my walls. I did an online search for guidelines for the right height to hang shelves the other day. 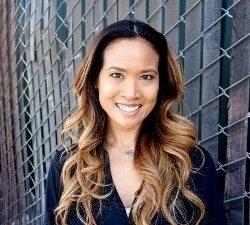 In my research I found the eHow gave me the best advice. I thought it was valuable so I thought I’d pass it on along with my own insights! For hanging shelves above a couch, measure 10” above the back of the couch. 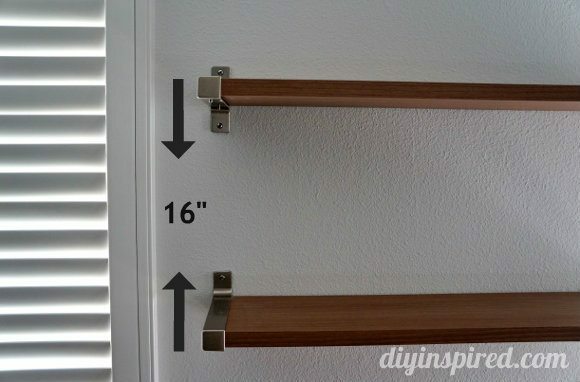 When hanging shelves on a hallway wall, measure up from the floor 5-6 feet. 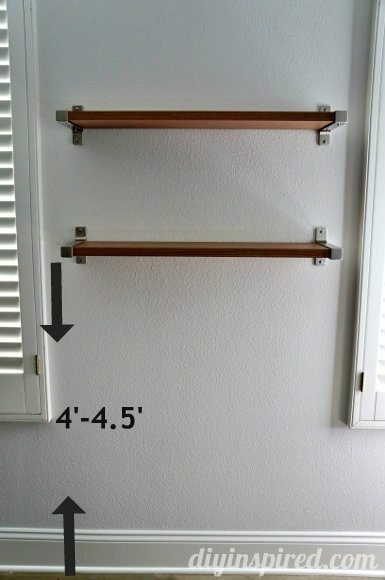 For hanging shelves on a dining room or living room wall, measure up from the floor 4-4.5 feet. I started by measuring the width of the wall space and the width of the shelf. I wanted it centered so I subtracted the shelf width (from the screw holes) from the wall width and divided by 2. The remainder is the distance between the ends the shelf and the wall. I also measured 4.5 feet from the floor. With the help of my husband, I had him hold the shelf in place while I used a free level app on my iPhone to make sure the shelf was straight. 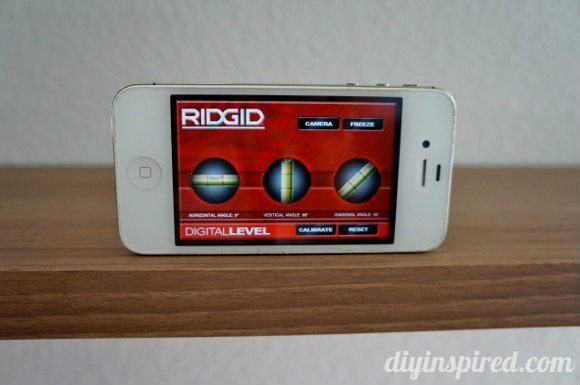 This one from Ridgid did the job, but any level app (or level) will do. I used a pencil to mark where the screws should be placed and screwed in the first (bottom) shelf. For the second shelf, I had in mind what knick knacks I wanted to put on top of it, and decided on placing it 16 inches above the second shelf. Again, I used the level to make sure it was straight. It looks a little off in the picture, but I blame that on my picture taking skills. Ha! I promise you, they are straight! 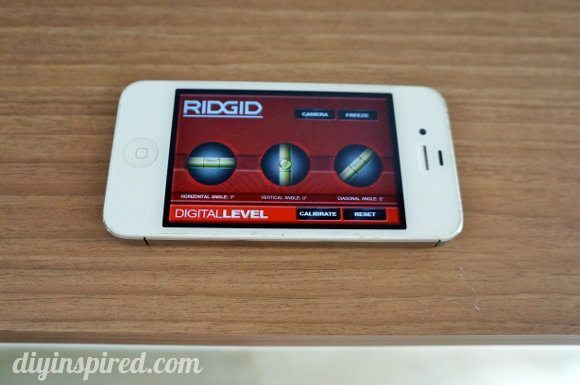 Download any free level app; it’ll make your project much easier. In my opinion, the general measurement guidelines above were perfect! You may also like how to upgrade your switch plates with fabric! I moved into my new apartment four months ago, and I have yet to hang my shelves. 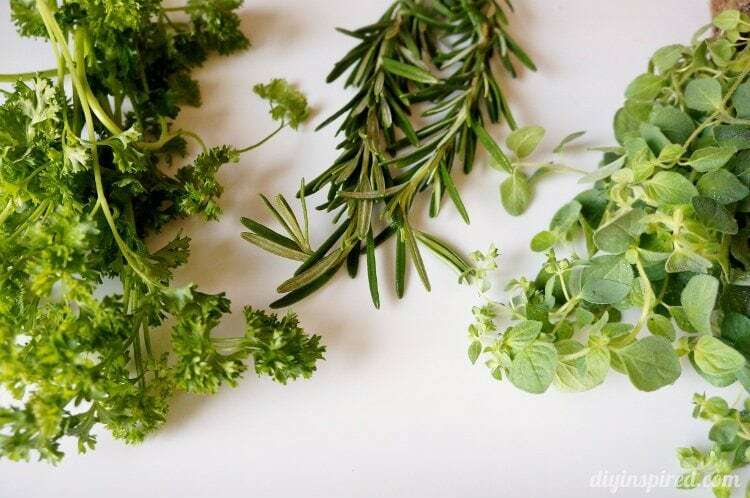 Thanks to these great tips, this just might finally be the weekend that I put them up. I do have one question, though, do you know of a way to secure them without nails? Where did you buy those shelves? Hi Argelia! The shelves are from IKEA, and they were covered with a product called PANYL (http://www.panyl.com/). Thanks for stopping by! Just an FYI. The native compass app on iOS includes a level. Just swipe to the second page. Where did you get those brackets? Are they from IKEA as well? Hi Janet! Yes! They come with the shelves. Thanks for the level app trick, that is amazing!